Mention a cruise holiday and some people still think of it as a traditional, old fashioned getaway, one that appeals to wealthy retirees or holidaying executives. Clearly, those people haven’t heard of Royal Caribbean International! As cruise holidays go, Royal Caribbean has taken the rulebook and thrown it out of the cabin window – and one look at the onboard facilities will tell you why. 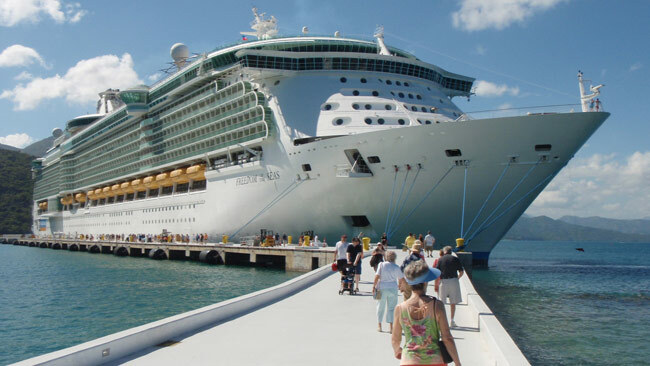 With Royal Caribbean, cruise holidays aren’t just for grown-ups. They’re for anyone with a sense of adventure, be it families with children or young couples looking for a holiday with a bit of a difference. By day you can explore scintillating destinations like Alaska, the Caribbean, Mediterranean cities or far-flung islands like the Azores. By night, or for those days when you’re out at sea, you can enjoy fabulous onboard activities like rock-climbing (yes really! ), surfing, ice-skating, shopping, going to the movies, a yoga class… the list goes on. And when you reach your next port of call, where in the world will it be? It could be part of a 7-night tour of Alaska, taking in such eye-popping spots as the Icy Strait, Juneau, Skagway or the Hubbard Glacier. Or perhaps you’ll opt for the sun-baked cities of Australia, visiting the Brit-favourite metropolis of Sydney, Melbourne and even Tasmania. Or perhaps a Caribbean cruise is more your cup of tea, setting sail from Florida to explore the Bahamas, St Maarten and the U.S. Virgin Islands. Whatever Royal Caribbean experience you fancy, you can find out more by scouring the cruise holidays advertised through a travel agent like Thomas Cook. Check out the list Thomas Cook holidays and you’ll have the chance to filter your results by price, destination, cruise length and so on, which means you can whittle down the options until you find a favourite – at a price you can afford. So why not get online and start searching? You might just find your holiday of a lifetime!